Intelligent products from Hectronic stand for innovation in parking and refuelling technology - from the single product to the complete solution. Southland Printing is a family owned printing company providing printing needs for the parking, transit, retail and event ticket fields. Manufacturers of parking control barriers and access control systems. 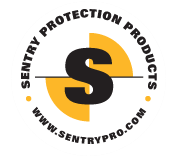 Sentry Protection Products introduces Collision Sentry® Protectors, which stands watch over "blind corner" intersections in industrial settings where pedestrian traffic and forklift traffic converge.